So when spring comes around, I feel like it's time for some fresh things. More specifically, a fresh pair of trainers. 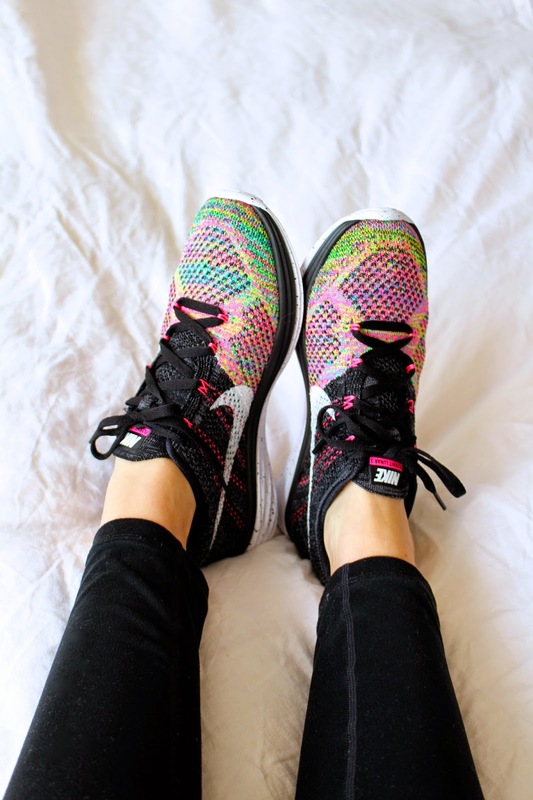 I know you're not meant to buy workout/running shoes solely based on how they look, but that's the only factor I took into account when buying these. In my defence, it was 1 AM on a weekday and I couldn't sleep so this was a pretty spontaneous purchase. But from the moment I opened that orange box I've been infatuated with these Nike Lunar Flyknit 3 babies. I've taken these for a spin already and I just know they will take me through many workouts and runs. There's nothing like some new gear for motivation, right?